Newton’s first law states an object at rest will remain at rest and an object in motion will remain in motion with the same speed and direction unless acted upon by unbalanced force. 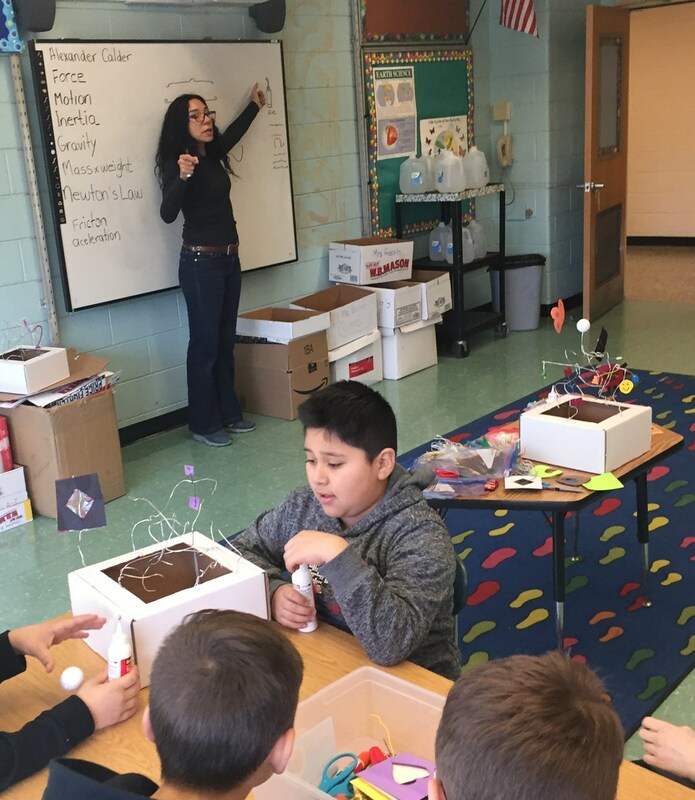 To help Grade 5 students visualize and experience Newton’s three laws and the elements of physics (ie, mass, force, motion, gravity, balance, equilibrium, inertia), Patchogue-Medford teachers collaborated with visual artist Lucienne Pereira. 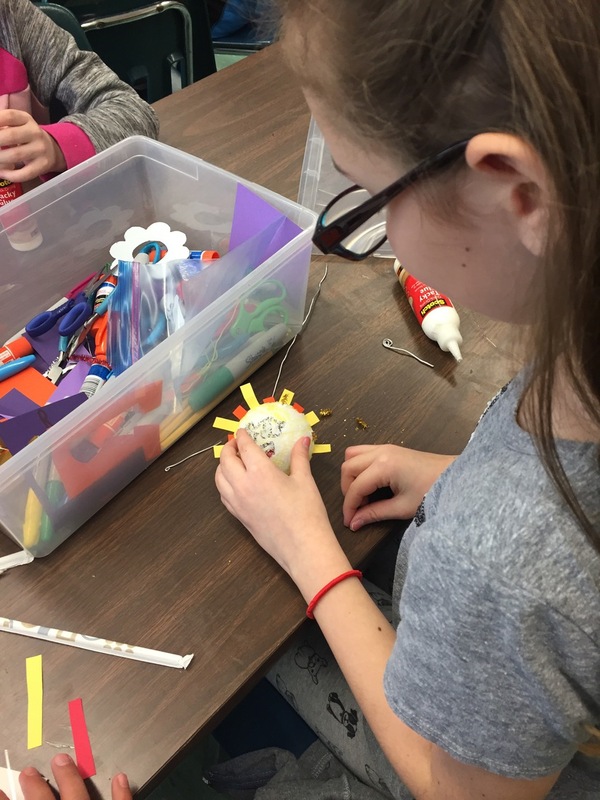 The teaching artist guided the students in the creation of kinetic sculptures. In the first of five session, Ms. Pereira described the project for the students. 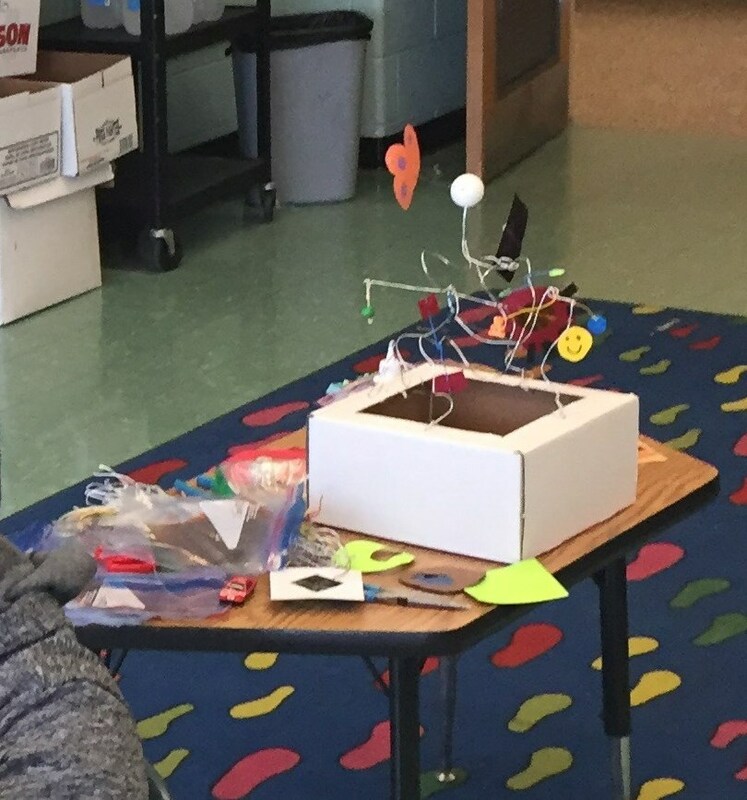 She explained that the children would create a sculpture that would demonstrate motion, equilibrium, balance, and gravity. 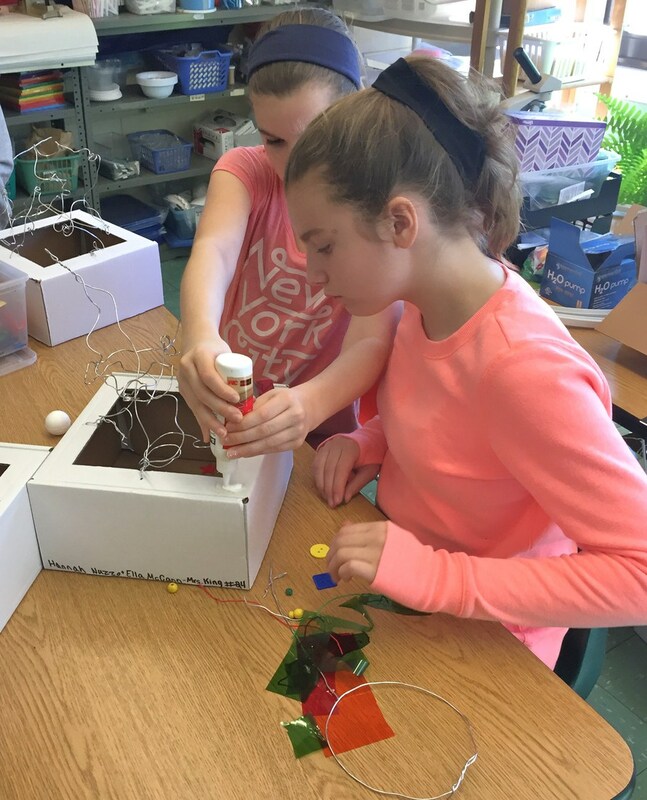 The sculptures would use a box for its base, upon which the students would attach pliable wire, different types of paper, and Styrofoam. Some parts of the sculpture would be on sticks, which the students would have to balance at the two ends. Other objects would be made to spin by blowing through a straw. 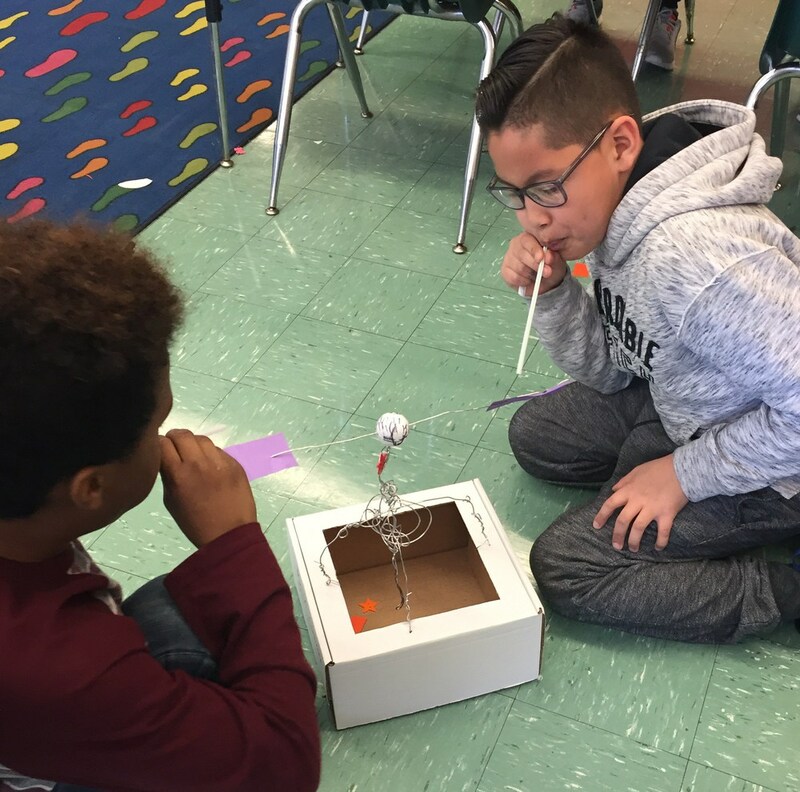 For example, during Session Three, Ms. Pereira and students delved into the concepts of balance, force, inertia and gravity, which they were learning about with their classroom teachers. Prior to the session, the students had just seen CIRQUE-TAQULAR’s “The Art of Circus” at Suffolk County Community College. The teaching artist began the lesson by asking what the children thought of the performance. The students made connections between the flexibility of Alexander Calder’s mobiles and the acrobats challenging gravity. The teaching artist had shared images of Calder’s artwork during the previous lesson. One student said when the aerial artist was hanging from the ribbon, gravity wanted to bring him down. The performer was able to control his dissent by gradually letting out the rope wrapped around his body. 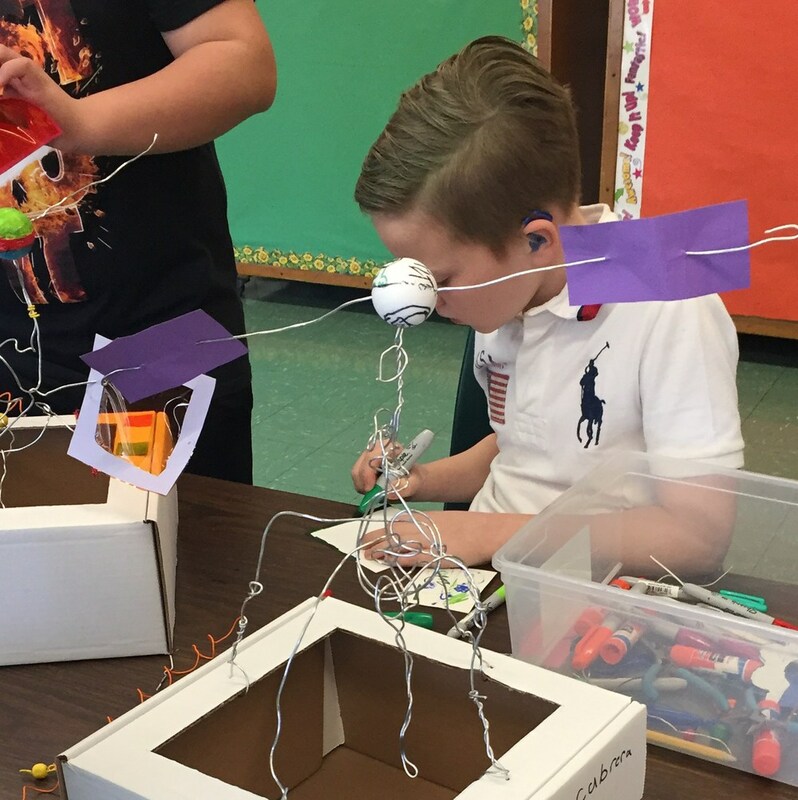 Next, the students added elements that would simulate balance, force, motion and inertia, and gravity to their sculptures. 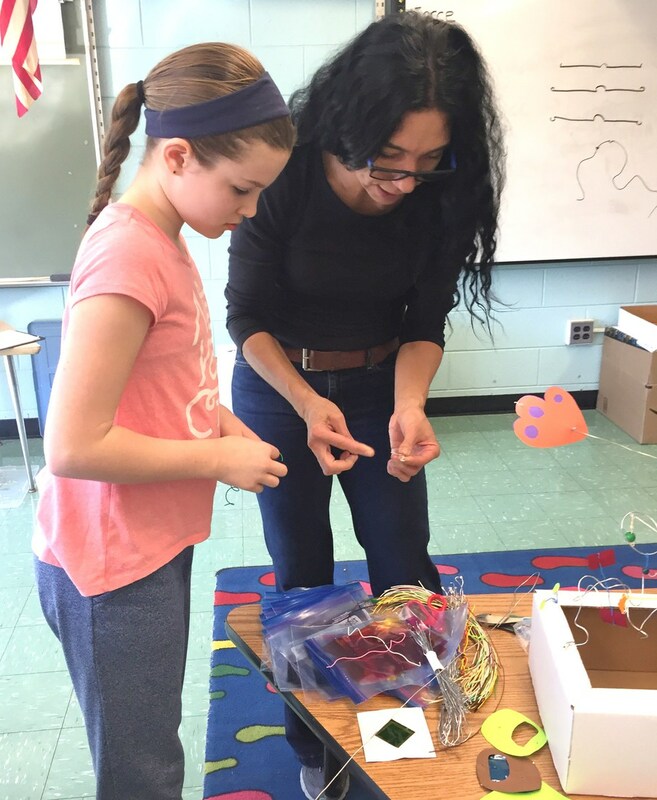 Ms. Pereira showed the children how to secure shapes to the wires by making hooks, rolling ends and/or bending the wire rods to keep shapes in place and balanced. The students worked in teams and followed the teaching artist’s directions. Ms. Pereira made suggestions for their sculptures. For instance, you told them they needed the heavier wire for certain things to move. The classroom teacher actively assisted with the building. The students’ supplies included a white sphere, which they decorated with magic marker. By blowing through a straw, the children provided enough force to make the sphere move, and thus, demonstrated force and inertia. As the students worked, they tested their sculptures for functionality. During the session’s culminating discussion, Ms. Pereira checked for understanding and made inquiries about the students’ progress. By Session Five, the students were ready to present their sculptures. Each group present their artwork, explaining how one element illustrated a principle of Newton’s laws.